There are some fruits that never disappear from store shelves. Year round you can find apples, oranges, peaches, bananas, etc. However that cannot be said for cherries. Cherries are only available for a limited time during the year. 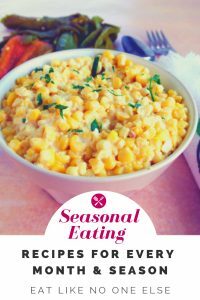 So if you want to enjoy some, it’s important to know when they are in season. To give you a better understanding of how the season unfolds, I will talk about how one company, Stemilt, extends the season. Stemilt is located in Washington, but they work with farms all the way down to southern California. The harvest begins in southern California, in Bakersfield. This usually begins around the end of April. 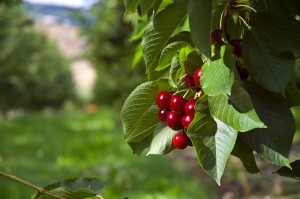 The earliest cherry variety is the Brooks cherry, which is a cross between a Rainier and a Bing. From there, the harvest moves north to the Stockton/Modesto area. They harvest cherries as high as 3,500 feet. So by moving from south to north, Stemilt is able to harvest cherries from late April to late August. Now, the difficult thing with cherries is that they are very perishable. This is why by September, cherries will have pretty much disappeared from stores until the next year. The next question is: how long from harvest until the cherries hit the supermarkets? 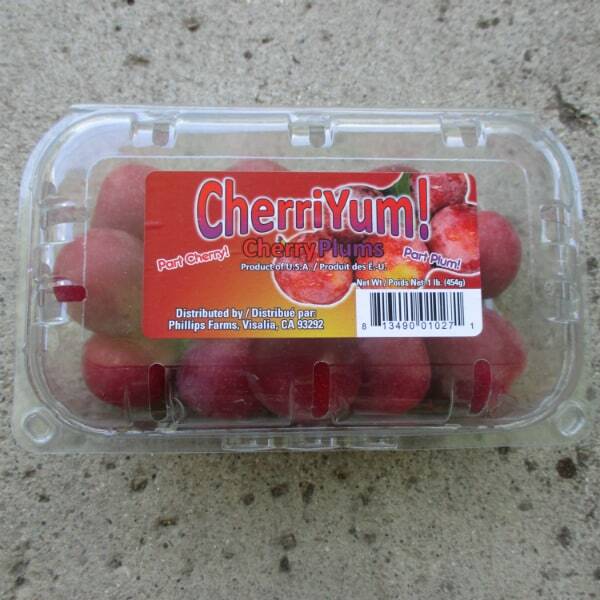 Since they are perishable, Stemilt aims to get their cherries from the farm to the truck within a day or two. And then it takes anywhere from 1-2 days for close by locations to up to 5-7 days for the cherries to make it the east coast. They use a cold chain process to keep the cherries as fresh as possible. 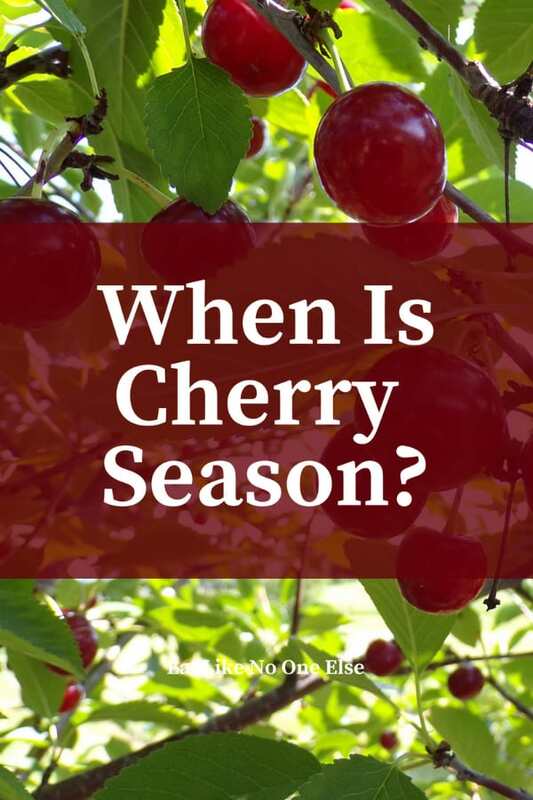 When is the Best Season for Cherries? When does cherry season peak? 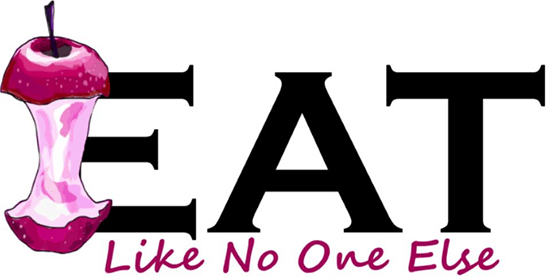 That would be in summer – early summer to be exact. Even though the harvest last for 4 months, there are peaks in the season. The California cherries peak at the end of May/beginning of June. Prices tend to be higher for the California cherries (learn more from my post – When Will The Prices of Cherries Get Cheaper?) The Washington cherries peak in early July. There are several different varieties of cherries that Stemilt grows. They can be broken into dark/sweet cherries and Rainer cherries. There are several varieties of dark cherries but it’s up to the grocery whether they advertise the different varieties. Most stores I have encountered just sell them as sweet cherries with the expection of the Bing cherries. The differences between these cherries are subtle. The variations are usually in color, firmness, the sugar to acid ratio. 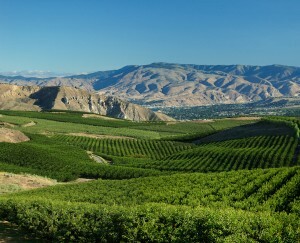 While the Pacific states are the nation’s biggest cherries growers, other areas of the country also grow cherries. In fact, pretty much all the sour or pie cherries grown in the US commercially are grown in Michigan. These cherries are typically ready around the fourth of July and the harvest can last until the end of the month. Traverse City, Michigan is host to an annual National Cherry Festival. The combination of cherry and plum may be one of the greatest things man has ever come up with. Something I have discovered in recent years is that cherries and plums are compatible, so much they have crossed the two fruits, creating a cherry-plum hybrid. This fruit is a small plum with a smaller pit than a normal plum. It tastes more like a plum. They are really good. Each year I see more and more of them in grocery stores, so they are becoming easier to find. Do you need a cherry pitter to enjoy cherries? Not necessarily. Part of the fun is spitting the pits right. However if you are going to cook with cherries or freeze a lot of cherries, that is when I think it would make your life easier to get one. I have created a handy guide to help select the best cherry pitter. If you are going to buy a cherry pitter, I recommend getting one than will pit more than one cherry at a time with the ability to pit olives as well. I recommend trying the Geson Cherry Pitter, which is under $15. Tart cherries can be hard to find fresh. I am lucky because my home state of Michigan is the number 1 tart cherry grower in the United States. 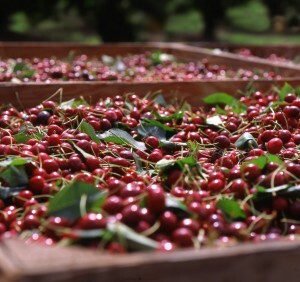 Tart cherry season runs from early July to early August. You can get dried cherries year round. You can buy a big box of dried cherries that are from Michigan. 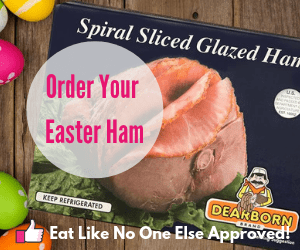 They are great for salads and putting in baked goods. Without a doubt my favorite dried cherries are Cherry Jubliee mix from Cherry Bay Orchards. 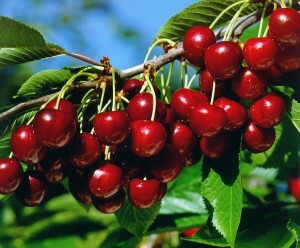 It is a mix of Montmorency cherries, Balaton cherries, and Light Sweet cherries. This is what I buy when I am missing fresh cherries. I love experiencing the different flavors of cherries in a single bag. Thanks for the article and explanation. It makes complete sense that the season varies in different parts of the country/world……it’s just that it didn’t dawn on me until I read this! I am glad you liked it and found it informative. Now it’s clear to me, I never knew for sure when and cherries were only available for such a short period. Thank you for explaining it. I love cherries so, I just want them all year. I am glad you found this post informative. Cherries aren’t like apples or oranges that can be keep in cold storage, they just don’t last. Enjoy them when they come into season, which should be in about 6 weeks or so from now. I love cherries and the information I read on when they are in season and when I can purchase them has been very helpful. I heard the crop was running 2 weeks early this year, so I would expect to see them no later than mid June. i am a Cherry adict. So much so, that i freeze the, and in off season, i take several and allow them to thaw just slightly. Surprisingly although they dont compete with fresh, they are still a welcome treat durring the off season. i buy in bulk waiting for lowest price to freeze, but this year the prices have gone up instead of down to date.